Electronic communication (eBlast) is the default method by which the alliance notifies our community of our publications, events and latest news. Publications are placed on our website for easy access to all. Due to cost of mass bulk mailing CAFAF rarely uses the US Postal Service to mail out notices of any type. 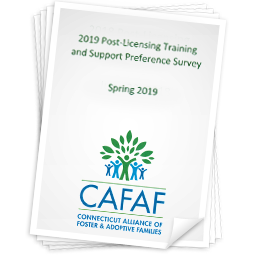 We strongly encourage you to join our email list so you may benefit fully from all CAFAF has to offer Connecticut’s foster, adoptive and kinship care community. 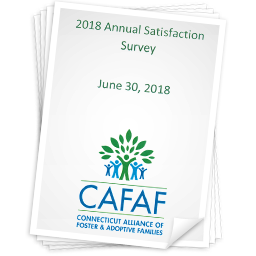 How can I receive an invitation to CAFAF events? Please join our email list to receive invitations and announcements. Why should I join the email list? By joining, you will be among the first to know about our events, training opportunities and more. Email subscribers also have exclusive access to our special offers. Offers in the past have included free tickets to Rock Cats games, Bushnell Theater events, XL Center Ice Show and many more. What if I don’t have access to a computer? 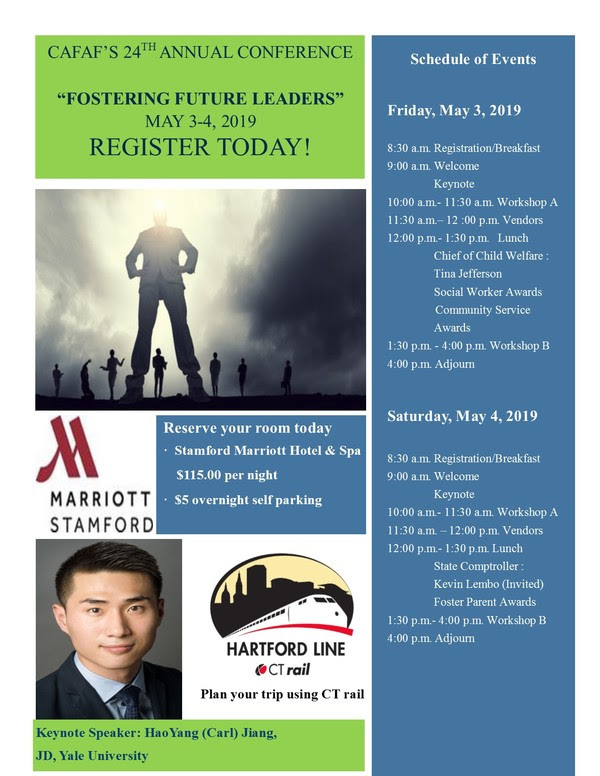 If you do not have access to a computer and would like copy of our current training schedule, communiqué newsletter or conference brochure please call our office at 860-258-3400 (local) or 800-861-8838 (statewide) and we will be happy to mail you one. Please specify English or Spanish language.